Clavis Journal, Vol 3: Cipher and Stone from Ouroboros Press and Three Hands Press, due in September, but available for pre-order, in standard and deluxe editions, may be of interest. “At 216 pages, the new volume of Clavis features an outstanding grouping of authors and image-makers. 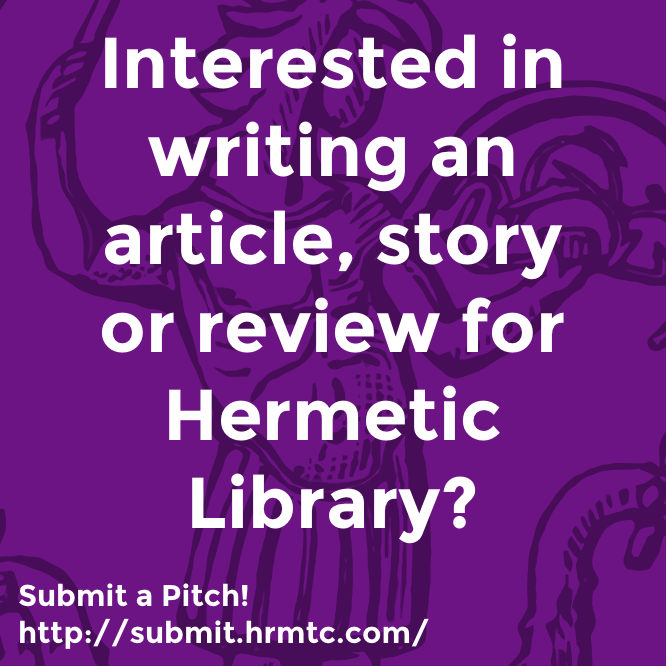 Articles in this issue include ‘Our Lady Babalon and Her Cup of Fornications” by Gordan Djurdjevic, and esoteric astrologer Austin Coppock’s paean to dark and baneful starlight, “Death From Above”. Three adepts of the German magical order Fraternitas Saturni give voice to the magisterial arcanum of Saturn in the article ‘Listening to the Voice of Silence’. We are pleased to include ‘Rite of the Graal Evolute’, a previously unpublished ritual and art by the late English magus and scholar Andrew D. Chumbley. Gemma Gary invokes Bucca, the Cornish Witch-God in image, rite and magical exposition; Robert Hull examines the Qabalah of Quantum Physics in ‘Unity and Division’. Michael Howard explores the role of the first artificer of metal in ‘Masonic Mysteries of Tubal-Cain’, and Henrik Bogdan considers the esoteric role of Secrecy, the very flower of the Occult itself, in occult orders. 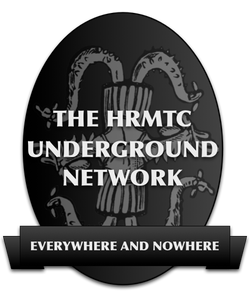 In addition, we are also pleased to include rare occult texts relating to cheiromancy, witchcraft and the lore and magic of Mandragora – the Shrieking Root of the sorcerers. Journal of the Western Mystery Tradition, No. 26, Vol. 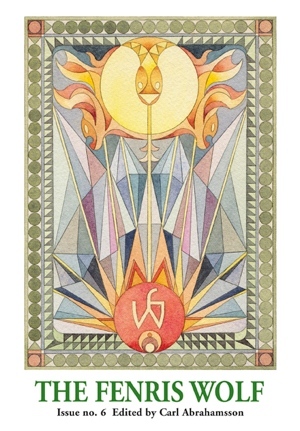 3., Vernal Equinox 2014, is available and may be of interest. “What can be said about the Gods that has not already been said or written? Humanity’s oldest surviving writings are about Gods and heroes. We haven’t stopped writing about them, telling stories about them, or otherwise being engaged with them, ever since. The presence of the Gods in magic and theurgy has been, until very recently, ubiquitous. And today, after the spread of monothesim for some 3,000 years, we begin to see a revival of old ways combined with new traditions dedicated to Gods that have sometimes not seen steady worship in hundreds of years. Abraxas: Issue 5, edited by Christina Oakley Harrington and Robert Ansell, from Fulgur, is due to release on March 20th, 2014, in limited paperback and even more limited hardback editions, which includes many new works that will certainly be of interest, including a contribution by K Lenore Siner, who you may recogonize from her participation in the Hermetic Library visual pool. 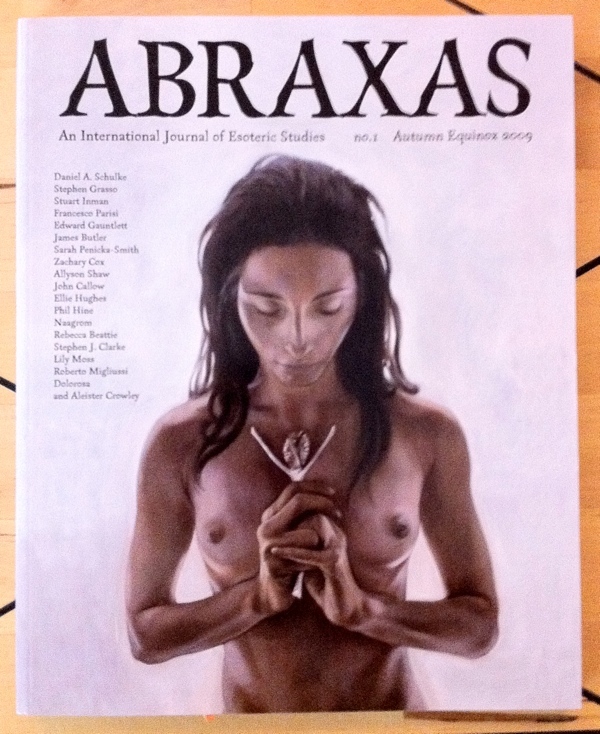 “Abraxas Issue #5 offers 180 large format pages of essays, poetry, interviews and art. 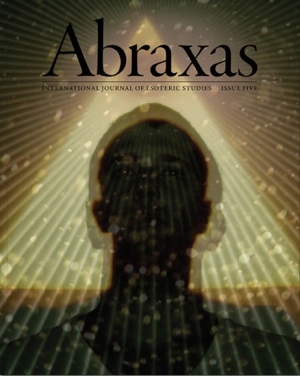 Abraxas Issue 1 [also], International Journal of Esoteric Studies, the Autumn Equinox 2009 standard issue from Fulgur, is part of the collection at the Reading Room. It appears, as of this writing, there is at least one copy of this still available through J D Holmes. This was the inaugural issue for this new journal, and had contributions from Daniel A Schulke, Stephen Grasso, Stuart Inman, Francesco Parisi, Edward Gauntlett, James Butler, Sarah Penicka-Smith, Zachary Cox, Allyson Shaw, John Callow, Ellie Hughes, Phil Hine, Naagrom, Rebecca Beattie Stephen J Clarke, Lily Moss, Roberto Migliussi, Dolorosa, and Aleister Crowley. This entry was posted in Austin Osman Spare, Hermetic Library Reading Room, The Libri of Aleister Crowley and tagged 2009, abraxas, aleister crowley, Austin Osman Spare, books, Fulgur Limited, Journal, Kenneth Grant, Reading Room, robert ansell on October 4, 2013 by John Griogair Bell. … as well as book reviews and other sundries of interest, including the theme “The Gods” for next issue. The Cloister Perilous is volume 2 of Clavis: Journal of Occult Arts, Letters and Experience which is a collaboration between Ouroboros Press and Three Hands Press. This issue, due in October, is available for pre-order and will come in a standard as well as a limited to 125 copies deluxe edition, which last is bound in burgundy goat and comes with a lithograph by Carolyn Hamilton-Giles. 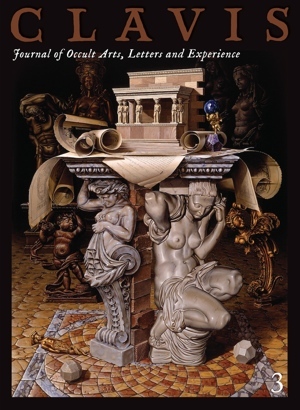 “CLAVIS Editions announces the second volume of Clavis: A Journal of Occult Arts, Letters, and Experience. Featuring an outstanding grouping of authors and image-makers, its nominative adumbration ‘The Cloister Perilous’ follows the apocryphal eponym ‘Of Keys, Locks, and Doors’ attributed to Volume 1. 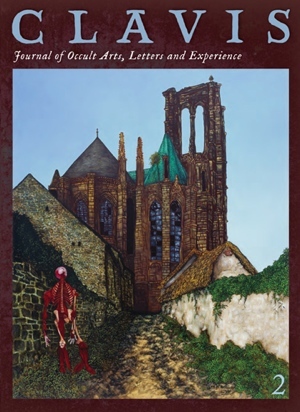 Articles in this issue include ‘Our Lady Babalon and Her Cup of Fornications’ by Gordan Djurdjevic, and esoteric astrologer Austin Coppock’s paean to dark and baneful stellar emanation, ‘Death From Above’. Three adepts of the German magical order Fraternitas Saturni bring forth Gold from Lead, giving voice to the magisterial arcanum of Saturn in the article ‘Listening to the Voice of Silence’, accompanied by the artwork of Albin Grau and Hagen von Tulien. 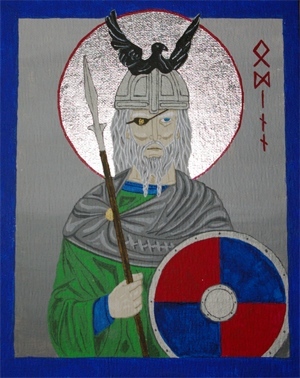 We are also pleased to include ‘Rite of the Graal Evolute’, a previously unpublished ritual and art by the late English magus and scholar Andrew D. Chumbley. 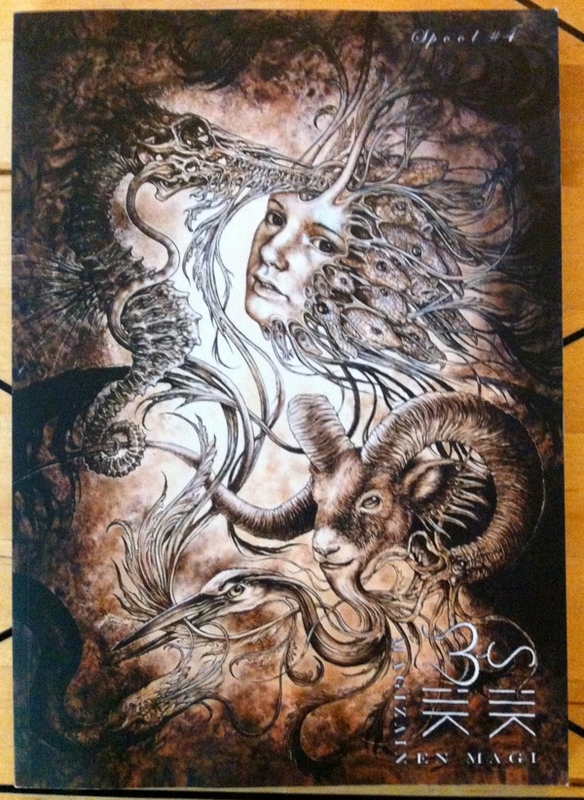 Traditional witch Gemma Gary invokes Bwcca, the Cornish Witch-God, in arresting image, rite and magical exposition. Esoteric scholar Henrik Bogdan considers the esoteric role of Secrecy, the very flower of the Occult itself, as it relates to secret societies. Lloyd Graham writes of the magical talismans of Arabian magic, and Aaron Picirillo examines magical self-fashioning. Robert Hull examines the Qabalah of Quantum Physics in ‘Unity and Division’. Michael Howard’s essay ‘Masonic Mysteries of Tubal-Cain’ explores the role of the first artificer of metal in several occult orders. 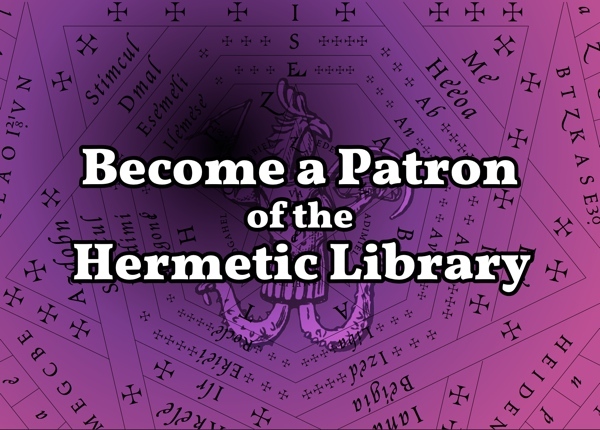 In addition, volume 2 includes several rare occult texts relating to cheiromancy, natural magic, witchcraft and the lore and magic of the Mandragora — the Shrieking Root of the sorcerers.